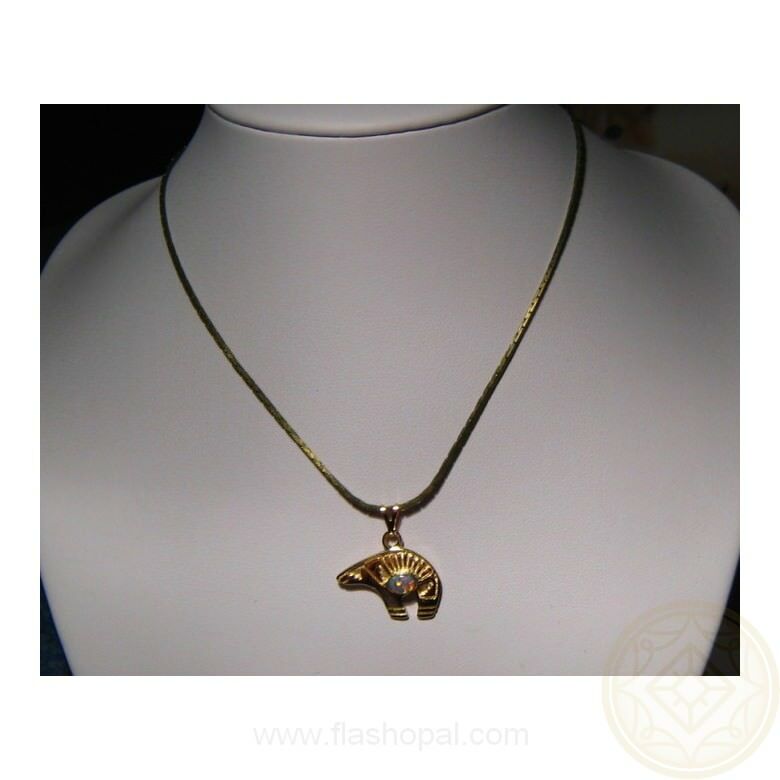 An Opal bear pendant in 14k Gold showing bright Orange and Gold. In stock and ready to ship. 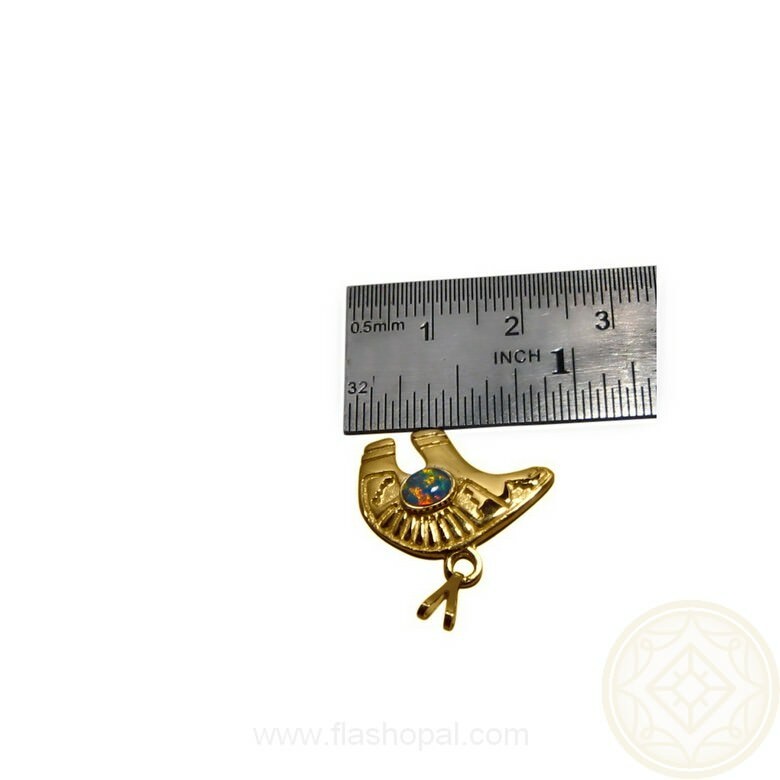 This pendant could be worn by men or women. 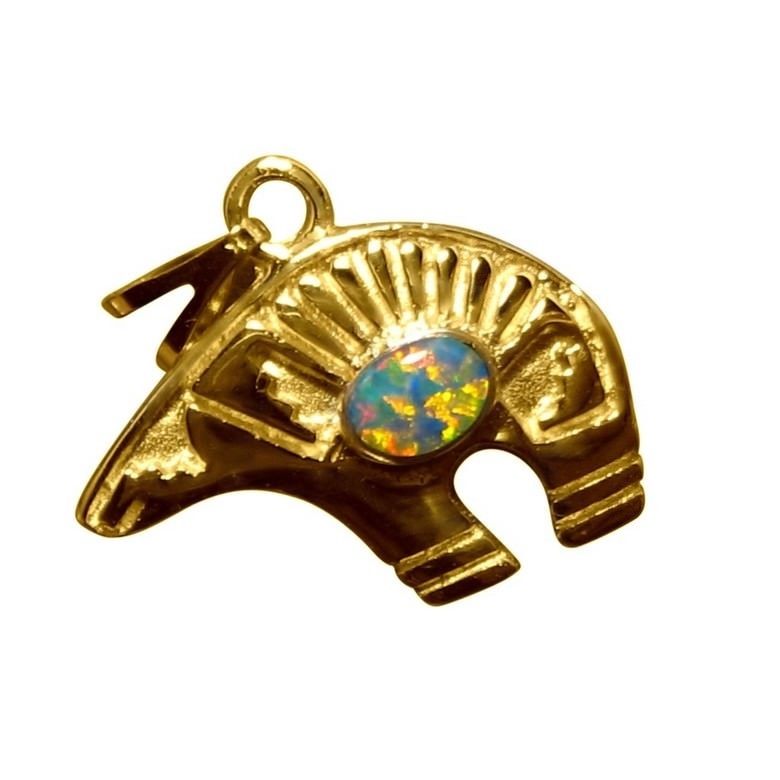 A 14k Yellow Gold bear setting is inlaid with one Oval Lightning Ridge Black Crystal Opal with very bright Orange and Gold colors. It is ready to ship now or one can be Made to Order in White or Rose Gold color and will take 7-10 days to make before images are provided for your approval to ship. Please note the chain is not included.